We are brand strategists, marketers and business consultants. We offer our services (“Offerings”) through the website https://113branding.com. We develop and produce creative content for our varied clients Our offerings include single point services, long term programs, group programs and e-products available for purchase. Our Offerings are non-refundable except as required by law. If Client choose a payment plan for Client’s service, Client will be automatically billed at the time the bill is due. Delivery of Services. For single services, Client will be asked to schedule a mutually convenient time for Client’s consultation. For product offerings, Client will receive a link to the purchased product within 24 hours of Client’s purchase. All other offerings will be provided to Client within the terms described at the point of purchase. Limitations of Liability. We do not guarantee any specific results. We are not responsible for any business loss that occurs during or after our time together. Participate fully in the development of the material, by providing timely responses and other information as required. Provide timely approval of the creative vision and direction. Meet Client’s payment obligations, in the method and timeframe selected. Client certify that Client is at least 18 years of age. Client agree that the email address provided in Client’s account information is valid and that Client will keep Client’s contact information up to date. Client agree that Client’s payment will be processed by 113 BRANDING. Client agrees that 113 BRANDING may charge Client’s payment method for any additional products and services purchased by you. Client are responsible for providing 113 BRANDING with a valid payment method for payment of all fees. If Client’s payment method for 113 BRANDING is invalid, Client will have ten (10) days to provide another method of payment or Client’s services will be suspended will be taken down until Client’s account is paid in full. Client agrees that Client is responsible for full payment of fees for the Product regardless of whether Client actually participates, completes or utilizes the Product and regardless of whether Client has selected a lump sum or monthly payment plan. 113 BRANDING does not refund fees. Client agrees that if, for any reason, Client chooses to cancel the Product prior to the end date of the Commitment Period, Client remains obligated to pay or continue paying any remaining outstanding balance(s) in full. To further clarify no refunds will be issued and all scheduled payments must be paid on a timely basis whether Client completes and utilizes the Product or not. Any creative project has the potential to require revisions. Revisions may incur an additional fee of $450.00, payable prior to the completion of the revisions. If Client chooses to cancel a Service provided, the Client must notify customer service two weeks prior to the next payment cycle. Information should be transmitted electronically to 113brandingcustservice@gmail.com or by phone (415) 226-9164. Disclaimer. Joie Gharrity and 113 Branding do not provide legal, tax, accounting or financial advice and the information provided to Client is not intended as such. Client should refer all legal, tax, accounting and financially related inquiries to appropriately qualified professionals. Confidentiality. Company respects Client’s confidential and proprietary information, ideas, plans and trade secrets. Client specifically agrees to respect Company’s confidential and proprietary information, ideas, plans and trade secrets. Further, by signing below Client agrees that if Client violates or displays any likelihood of violating any of the agreements contained in the paragraph, then Company will be entitled to injunctive relief to prohibit any such violations to protect against the harm of such violations. Client acknowledges that many of the images provided to Client through this service are purchased by Company from DepositPhotos or other online photo resources. Company has purchased a license for the use of the photographs that carries with it certain limitations. Company grants to Client a non-exclusive, perpetual, and worldwide, non-transferable and non-sublicensable license to use the images provided an unlimited number of times in whole or in part in the creation of an item within the scope of permitted uses but does not entitle Client to the Image’s copyright and/or intellectual property rights. All copyright and/or other intellectual property rights to the original File are reserved by Depositphotos and/or the contributor of the File. All copyright and / or other intellectual property rights in the completed image are reserved by No. 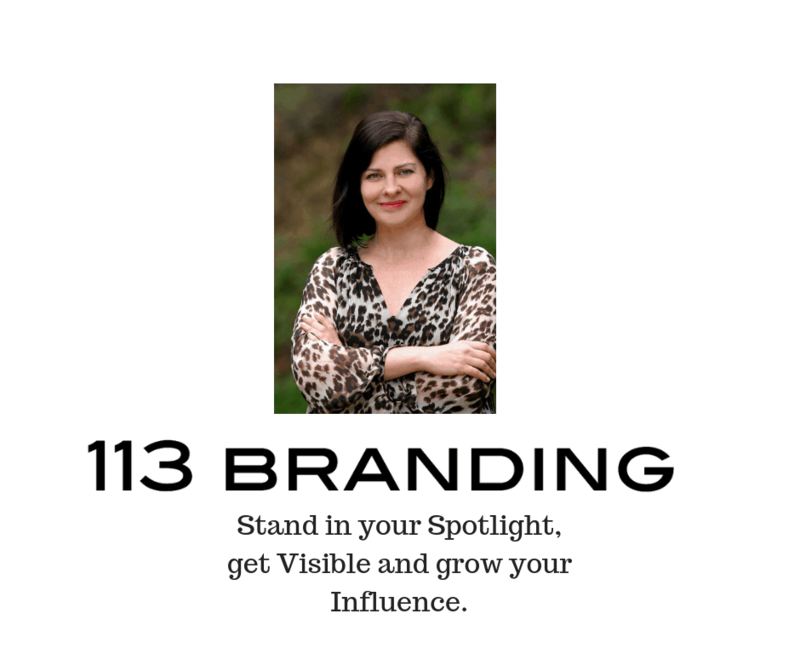 113 Branding. Printed use: advertisements in newspapers and magazines; printed advertising materials; covers and illustrations for books, newspapers, magazines; business cards; flyers; posters; CD/DVD covers; wrappers, labels and product packaging; stationery: folders, notebooks, pens, pencils and stickers; charms; calendars; mugs and glasses; mousepads; T-shirts, clothing; personal non-commercial use; etc. Display, use or post the Image in a way that would lead to the conclusion that the model in the File approves of or endorses any political party, policy, candidate, or elected official. Any forbidden use of the Image shall be considered as copyright infringement. Client shall be liable for all damages caused by copyright infringement, including any claims made by third parties. Assignment. Neither party shall assign this Agreement without the written consent of the other. Additional Services and Products. We may, in the future, offer new services. For the avoidance of doubt, such new services shall be subject to the terms and conditions of this Agreement. Governing Law. This Agreement and performance hereunder shall be governed by the laws of the State of California. Sole venue and jurisdiction for any proceedings under this Agreement shall be in the state and federal courts located in San Mateo County, California. Force Majeure. Except for an obligation to pay fees, neither party shall be liable for failure to perform any of its obligations under this Agreement during any period in which such party cannot perform beyond their control, including, but not limited to strike, fire, flood or other natural disaster, war embargo, or riot, provided that the party so delayed immediately notifies the other party of such delay. The terms of this Clause shall not exempt, but merely suspend, any Party from its duty to perform the obligations under this Agreement, until as soon as practicable after a force majeure condition ceases to exist. Notices. All notices required or permitted under this Agreement shall be in writing and shall be deemed delivered when delivered in person or deposited in the United States mail, postage prepaid, registered or certified mail, return receipt requested at the address first set forth above. Facsimile or electronic signatures shall be deemed equivalent to original signatures for purposes of this Agreement. Indemnification. Client shall indemnify, defend and save harmless Company, its officers, agents and employees from and against any and all loss, cost (including attorneys’ fees), damage, expense and liability (including statutory liability and liability under workers’ compensation laws) in connection with claims, judgments, damages, penalties, fines, liabilities, losses, suits, administrative proceedings, arising out of any act or neglect by Company, its agents, employees, contractors, Clients, invitees, representatives, in, on or about the operation of the Program. This indemnity shall survive the termination of this Agreement. Client hereby releases Company from any and all liability or responsibility to Client or anyone claiming through or under Client by way of subrogation or otherwise for any loss or damage to equipment or property of Client covered by any insurance then in force. Waiver. The waiver or failure of Company to exercise in any respect any right provided for herein shall not be deemed a waiver of any further right hereunder. Severability. If any provision of this Agreement is invalid, illegal or unenforceable under any applicable statute or rule of law, it is to that extent to be deemed modified in order to comply with applicable law, and the remaining provisions shall not be affected in any way. Headings. Any heading, caption or section title contained herein is inserted only as a matter of convenience, and in no way defines or explains any section or provision hereof. The following Sections survive any termination of this Agreement: Intellectual Property Policy, Proprietary Rights, Pricing, Shipping and Terms of Sale, Disclaimer of Warranties, Limitation of Liability, Indemnity, Release and General. 113 BRANDING will attempt to notify Client when major changes are made to this Agreement but Client should periodically review the most up-to-date version at https://113branding.com/. Entire Agreement and Amendment. This Agreement constitutes the entire agreement and understanding between the parties and supersedes any prior agreement or understanding whether oral or written relating to the subject matter hereof. The headings used herein are for convenience only and shall not control or affect the meaning or construction of any provisions of this Agreement. Printed Version. A printed version of this Agreement and of any related notice given in electronic form shall be admissible in judicial or administrative proceedings based upon or relating to this Agreement to the same extent and subject to the same conditions as other business documents and records originally generated and maintained in printed form.